With every improvement in IoT technology, Smart Cities are coming closer and closer to full realization. Smart Cities are being built from the ground up, starting with smart roads, smart buildings, smart energy, smart grids, smart utility, and even smart education. With every improvement in IoT technology, Smart Cities are coming closer and closer to full realization. Smart Cities are being built from the ground up, starting with smart roads, smart buildings, smart energy, smart grids, smart utility, and even smart education. Most of these smaller services are being developed or, at this moment, are in some sort of proof of concept stage. 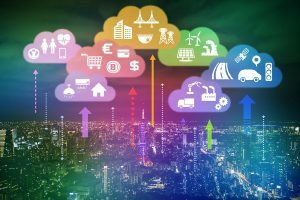 IoT network deployments are already implemented in major cities such as Barcelona, Amsterdam, San Francisco, Chicago, Los Angeles and many more are being added monthly. Cities tend to and should start small with their implementation and build off of that. For example, San Francisco focuses its smart city plan mostly on transportation by implementing technology that looks to make public transportation more affordable, accessible and streamlined. 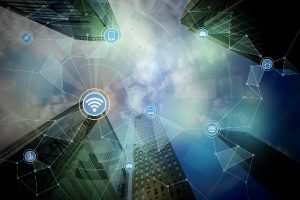 It has future plans to connect more of its services through further IoT networks, sensors and connected devices as each system reaches maturity and is looked to correspond with new systems. At first glance, this focus on Smart technology may not make sense from an economic standpoint. Smart Cities are complicated to build, costly, and complicated. Once a government decides to focus its next initiative on making their city more intelligent, the actual implementation is often passed to the private sector. This means that the end solution could not always be executed with public interest in mind, and may be more extensive or expensive than what is needed. Close regulation will be required from a technical and financial perspective. Furthermore, cities are very unique, and no implementation for smart tech will look exactly the same. 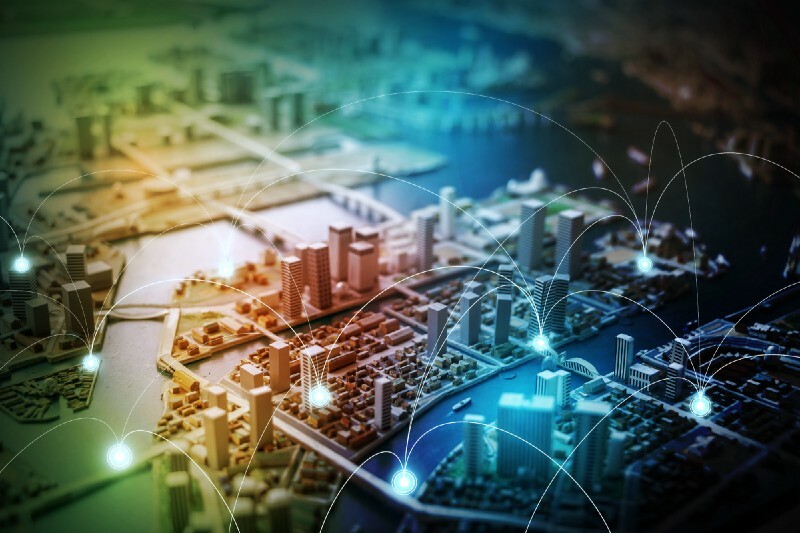 There can be a vast combination of growth, wealth, and population in a city that can affect the deployments of IoT and the number of devices needed to be supported in a certain areas. These are all factors that need to be considered when a city decides to invest in smart technology. With all of these roadblocks, why should cities be working to become smarter? The answer to that is more simple than the problem- Smart Cities are for the people. It’s easy to focus on the technical underpinnings and implications for a Smart City, but the spearheading mission of each smart city project needs to be for the human benefit. Smart cities, in theory, should be able to give individuals back around 125 hours a year of extemporaneous daily tasks if the systems within the city are fully integrated. Intel breaks down this average number of hours in a recent news article. People can save 60 hours on transportation, 10 hours on health, and 35 hours per year on public safety. These tend to be sections of problems that plague cities each year, and by reducing both the financial and time cost, smart cities are making urban living easier and more affordable. These changes, at first, are not going to be as drastic as they sound. Solutions will not be implemented obviously and will need to take some time to begin providing true value to city dwellers. Cities will begin by focusing on one larger problem that they are facing, for example, traffic. When these cities implement smart technology onto their roads to measure traffic patterns, they’ll start accruing decent amounts of data over a few months and through the course of a year. This data can then be analyzed to determine a pattern, and from there the city can find solutions to its traffic flow issues. As smart cities grow, and IoT technology improves, cities will start putting different systems into effect. These systems will create their own data sets, and reveal patterns for their own problem. These systems can then be integrated with each other, and this integration will create its own larger set of data. Each data set created will bring new insights and new data once paired with a complimentary system. The longer these systems have been running and the more data they can accrue, the more actionable insights they’ll be able to put forward. Once the cities integrated systems all reach a mature level, pairing each data set with new data set, exponential amounts of actionable data. Like humans, in order for these cities to become truly smart, they’re going some time to learn and evolve. However, if there are going to be this many digital endpoints being integrated into critical infrastructure like roads, public transportation, and traffic lights, these systems need to be built from a security standpoint. Meaning they need to be limited on what they can send and what they can do. Our infrastructure is already infected with malware, providing further access to malicious individuals without the right precautions would be reckless and ill-advised. We’re already vulnerable and we want to proceed into this complexity of connectivity with extreme caution. Coming from a security and use case focused IoT focused perspective will allow these systems to be effective and ensure viability for the long term. With this vast amount of data being created in a smart city could be a thousand times more complex than any enterprise to date. There will be so many sensors and devices utilizing different scripting languages and frequencies that will need to communicate with each other in real time. All of these communications will create the immense amounts of data that will need to be sifted through and analyzed. From that analysis, cities can make predictions and propose solutions that can be deployed to solve the problems that inspired the building of the smart city in the first place. The clouds and computing power that we have available right now may not even be up to handling a fully developed smart city. On the road to building smart cities, issues like these will pop up, that we will need to address as they appear. Right now smart cities are mostly at the initial stages of implementation, so they will not appear to be making huge contributions at the moment to issues we’re looking to rectify. Once these system gather enough data on what they’re tracking and can effectively model the data that’s being created, it will start providing insights we were unaware of. Simultaneously the infrastructure to support the amount of sensors and amount of data will need to be increased. Once we have reached that point, we’ll start seeing the impact on our daily lives, and hopefully start working towards saving those 125 hours a year.